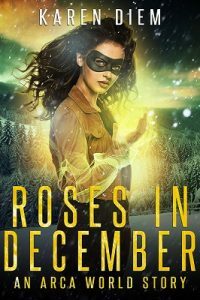 On December 7, 2018, readers opening my newsletter got a copy of my latest free short story, Roses in December. Chronologically, Roses follows Pie and precedes Monster (May 2019). It includes no spoilers, but references information in the Arca novels. Check the sweet cover out! Unlike the rest of my books and stories, Roses is an Arca World story—it’s in the same world as Arca, but focuses on a character other than Zita. In this case, it’s all about Wyn. When her aunt with dementia is taken on a disastrous day trip, research librarian Wyn will have to step out of the stacks and get down and dirty to save her. Even if that means hiking. This story has no violence or sexual innuendo, though there’s danger, damsels in distress, heroic heroines, and perilous peril. Zita has a cameo, so there is also one Spanish obscenity, free of charge. It touches on adult topics though, so still not a story for children. Roses is free, but only available to newsletter subscribers, both new and existing. While the December newsletter had the first link to it, the January newsletter will include the link again for those too inundated with holiday sales notices to catch it the first time. Subscribers will also have periodic chances to download all the short stories for free during the year. The Arca series will continue to be my focus. However, since the world isn’t about any one person, however interesting and awesome they consider themselves, my work isn’t either. Arca World stories are about all the other people and events. Many thanks to the readers who wrote in asking for more Wyn—Roses is for you! So, if you have a favorite you’d like to see more of, let me know. I’m always happy to hear from readers and that character might be the hero or heroine of the next Arca World story. Pants have proven to be a hot button for some of my beta reviewers, and this Super cut scene got dropped as a result. Two different beta readers informed me that no one as fashionable as Wyn would consider tights or pantyhose a necessity. One even held an informal polling of his female coworkers to support his position. So, the following got cut. “I’ve only one mask and there are three of us, so I need to go alone unless you know a place selling masks at one am,” Zita said, figuring it would end the debate. Pulling the mask from her pocket, she spun it on a finger by the elastic. The small, black plastic mask only covered eyes and maybe cheekbones, but it would work well enough, especially if she used the same face she had used earlier. Andy looked between them, and then back at the computer. The sounds of his tapping gained speed and strength. He shook his head. “I hate not doing anything! And, umm, I don’t have any pantyhose,” Zita admitted. She gathered up leftover food and put it away, the wash of cold from the fridge a welcome respite from the sticky air of her apartment. When she turned around, the other woman was staring at her, as if she had switched to another language. “How can you not have pantyhose? What do you wear to work?” Wyn said. “Pants.” Filling a water bottle from the sink, she sipped the lukewarm liquid and planned, checking hydration off the lists of needs to fill. Wyn made a derisive sound. “All of your pants are sweatpants or cargo pants. How can you not have any pantyhose?” she asked, as if Zita had not just explained. What do you think? I’m not a fan personally of them, but I had thought them more of a necessity. With regret, I had to reduce one character’s role – he was fun, but did not add enough to some scenes. He’ll show up more in later books in the series. However, here’s a snippet of a Super cut scene from the first draft. Be gentle. Warned through their mental link, Wyn had the car ready to go when they piled in. “My sword is crooked,” Jerome complained, plopping into the front passenger seat. His saber caught the light as he held it up to check it. “Dude, things we don’t need to know,” Zita said. Leather stuck to her leg through one of the rips in her pants. She declined to think too much about the stupid grin sitting on her face. Beside her in the cramped backseat of the Porsche, Andy concurred. “I’m with her on that one.” Being thrown through that window had not been kind to his clothing, and he tried to arrange the tatters to conceal more. Wyn shrugged, both hands on the steering wheel. “Some women like that.” She giggled. “The girls are on their own now.” Andy retreated, but not before poking her in the side. His question was silent. Am I flying us home? A snort came from the front seat. “I meant my saber, perverts.” Jerome’s tone held the laughter his words lacked. His voice glum, Jerome answered first. “No. And I don’t know how much of the computer drive was wiped, but at least I had it deleting the medical files first, so hopefully those are gone.” The big man shifted position, and must have given up his examination of the weapon, as light no longer reflected off the blade. I’ll get us back to my place once we’re clear of Jerome’s surveillance setup. Zita offered silently. “It could have been worse,” the witch offered, “at least you destroyed the relevant data. If someone has the notebook, but no data, all they have are some names other sources would have given them anyway. 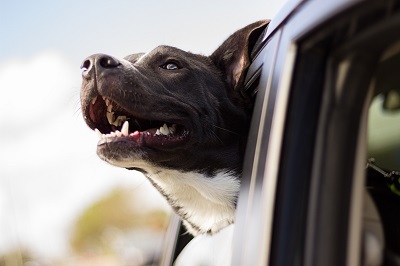 The hospital conflagration destroyed enough that it might be sufficient to keep us from involuntary confinement.” Wyn changed lanes and took a merge onto the Beltway. “What?” Andy asked. “What did I do?” He looked at Zita. OK, but I prefer flying, he sent mentally. She shrugged. Then we’ll get you out to do that again soon.